Great opportunity to own a better than new Jagoe Home without the wait of construction! Seller has already installed a wood privacy fence and yard barn! 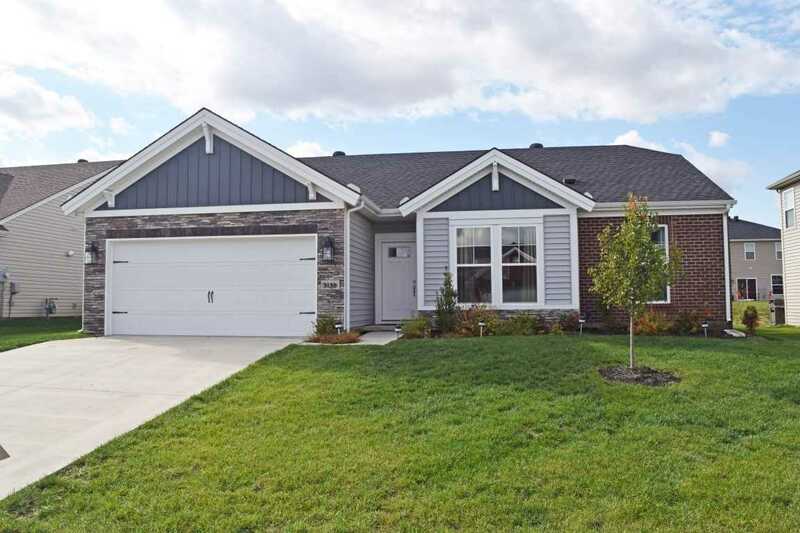 This popular Zircon Plan, Craftsman Style home in The Grove at Brookstone Subdivision in Newburgh features the popular split bedroom design and has 9ft tall ceilings. There is a spacious kitchen loaded with stainless steel appliances, decorative backsplash, room for table and chairs and a raised bar for extra seating. The large Master Suite features a huge walk in closet, raised double vanities, a transom window above the shower for added natural light and a semi private commode. On the other side of the home you have 2 more spacious bedrooms with the other full bath. Also, the home has a separate laundry room. Plus an attached 2 car garage! This home is Energy Star Rated, featuring nearly $8000 of upgrades PLUS Privacy Fence and Yard Barn! Hurry, Sellers Loss is your Gain! This is the one for YOU! SchoolsClick map icons below to view information for schools near 3139 Capstone Court Newburgh, IN 47630.